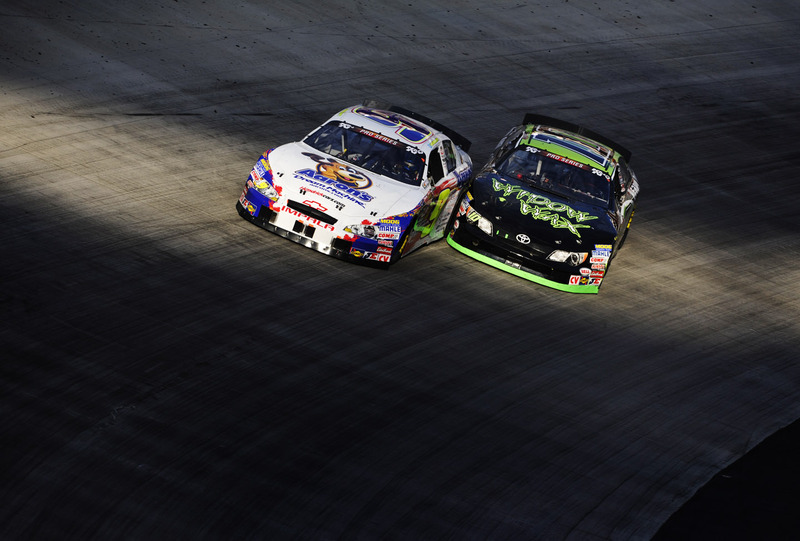 Three very busy days at Bristol, in eastern Tennessee (think Deliverance) shooting for Getty. When I wasn’t at the track, I was back at the hotel editing Sebring 12 Hours and Formula One Australian GP pictures for Motorsport.com. I quite literally never had a break, getting up at 4am to download and caption photos from the other side of the globe. At any rate, I finally got to discover Bristol, a half-mile track that pretty much encircles a football field, with stands all around it holding 160,000 people. It’s a sight, even when empty. Here are my favorites from the weekend. From now on I’ll try to do these ‘debriefs’ from major events I shoot. In other news, I finally got business cards. I’m totally legit now! A.J. Allmendinger sits in his car before qualifying. 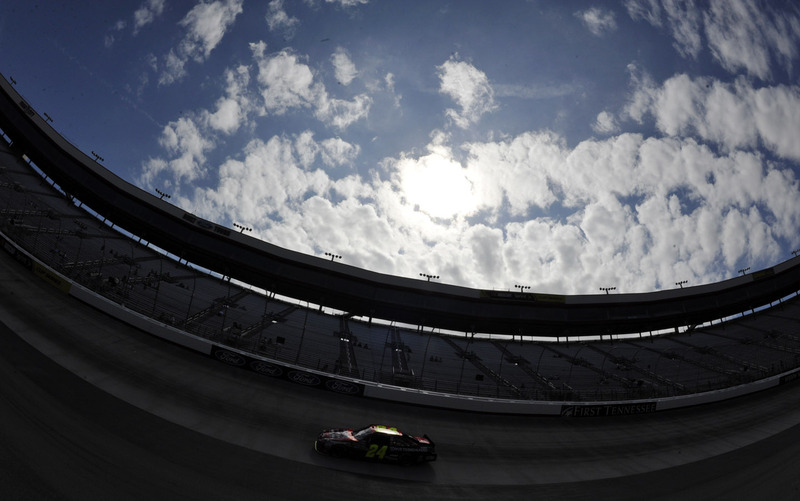 Jeff Gordon goes through turns 3 and 4 during practice. 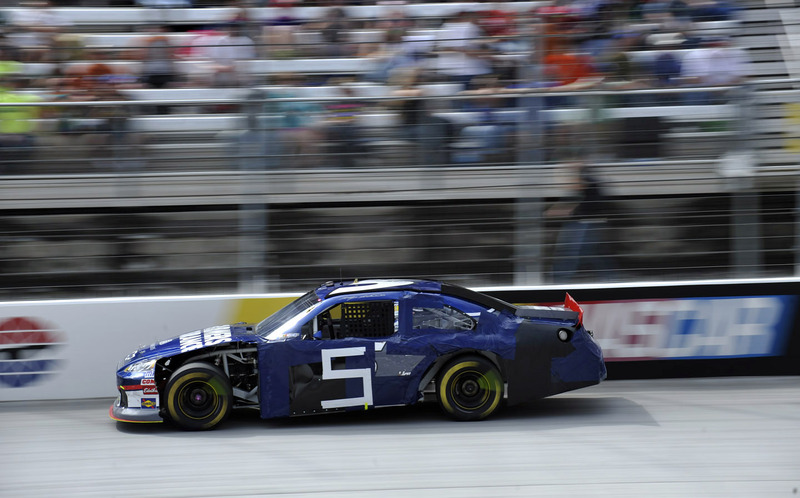 Kasey Kahne races at Bristol. This is what this track will do to your car. To the point you have to use duct tape for a number. Sam Hornish, Jr. with his daughter before the start of the Nationwide race at Bristol. During the afternoon K&N Series races this little pocket of light was moving across turn 2. 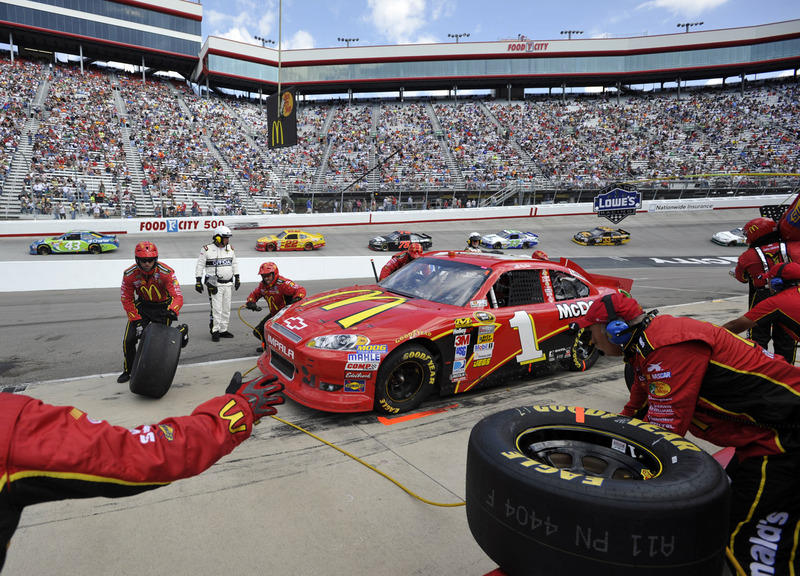 Jamie McMurray's crew works on his car during pit stops. 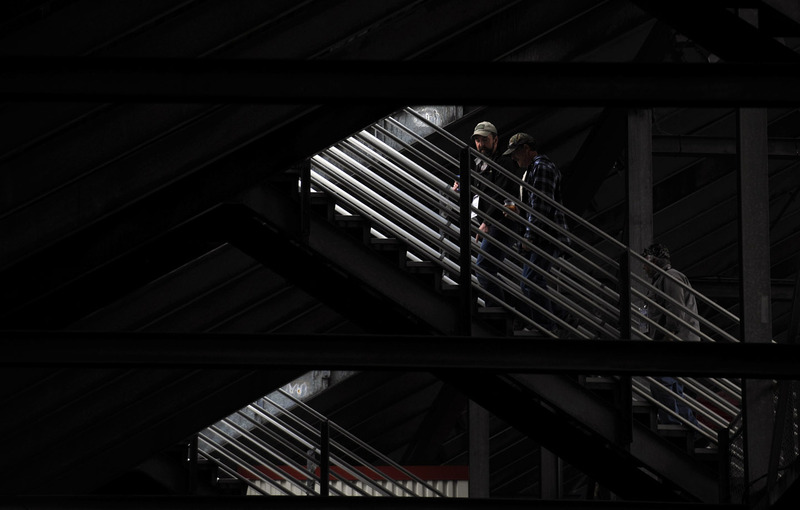 Fans climb the stairs to the stands. This place makes most football 'bowls' look like my son's lego set. Danica Patrick, left, and Tony Stewart talk before the start of the Nationwide race. 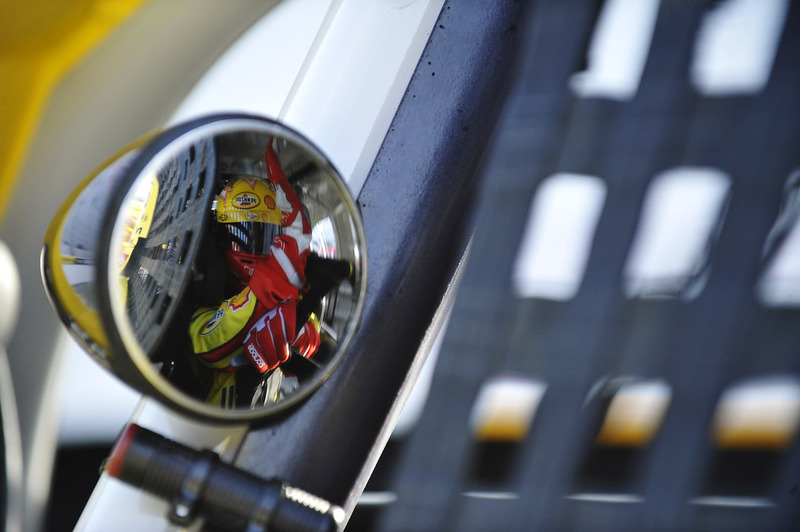 I love shooting the grid before a race. It's a challenge and sometimes you can get good emotion. 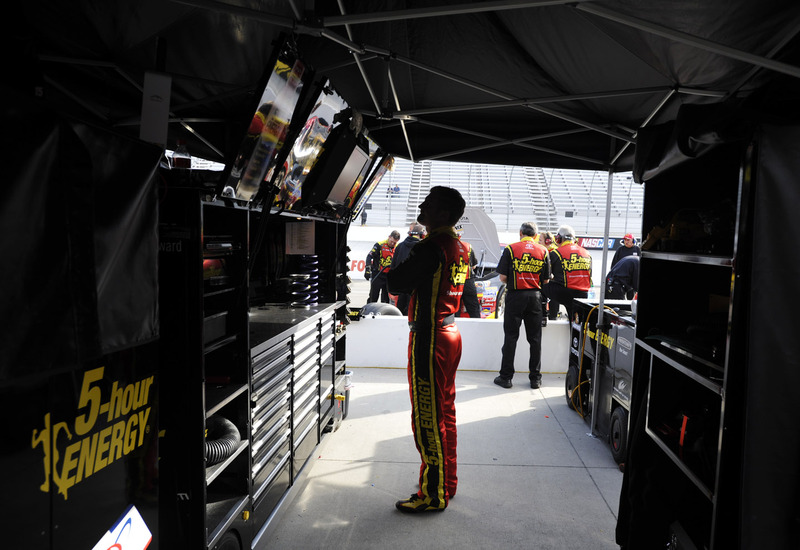 Clint Bowyer watches timing and scoring during practice at Bristol. 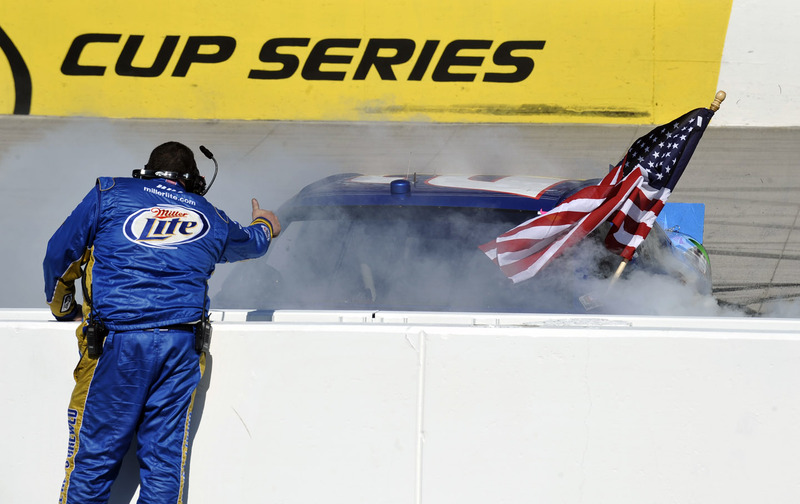 Brad Keselowski celebrates after winning the Food City 500. Pikes Peak rewind. Love this place.